We recently had the greatest time holding our first ever Summer High School Recording Camp. 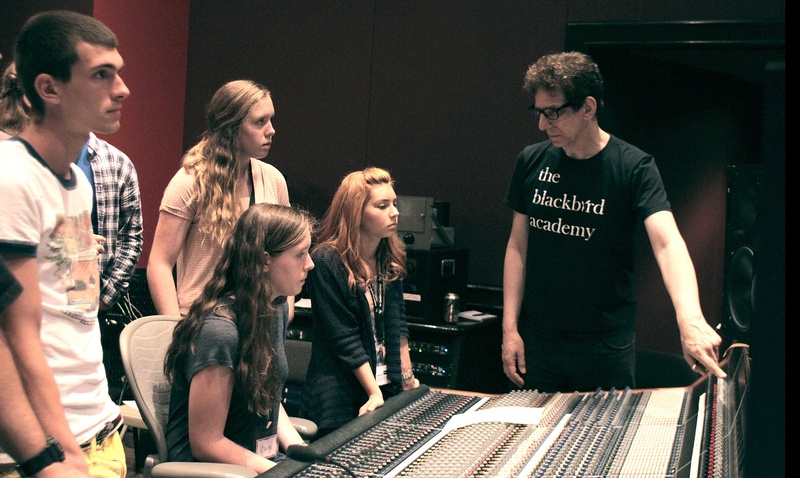 Twelve students came to Blackbird to learn about recording a band and mixing a record. It was three days of heaven! From our side it was an incredible experience……the days flew by! The students were so tuned in and so focused and it was a great experience for everyone involved. Judging by the response from the kids, they had as good or better a time than we did. Kevin, Mark and Carma handled the students the first day as I was recording Martina in the A room. The students were in the D room and they discussed many important aspects of the music business and the recording process. They learned about signal flow, microphones, outboard gear, compression, analog and digital equipment and technology, and a lot of general things that need to be known. The students came over to the A room when we were on our lunch break and I played them the two songs we had recorded at that point. We talked about the sounds and the vibe of the music that we had been recording. Next, back in the D room, songwriters Jason Sever and Rachel Thibodeau talked about songwriting and how to get songs on the radio. We set up the band gear and got ready for the recording of the band the next morning. We phase checked all the microphones and made sure they were all set in the proper mode. It was an exciting day overall and got everyone thinking about making records. We started out by getting sounds and recording a band in the D room. The band we recorded talked to the students about the Nashville number system and playing on records. We next convered studio etiquette and what is expected of everyone in the session – the producer, the engineer, the assistant, etc. 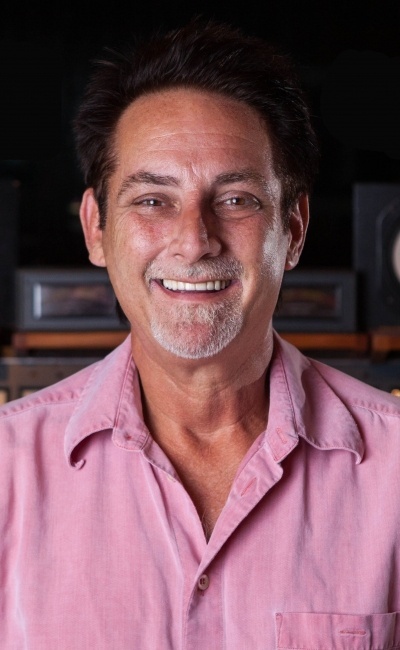 Engineer Allen Ditto showed the students how Pro Tools works and showed examples of time stretching, playing things backwards, dealing with volume in the box, and vocal tuning. We showed them how to put “secret messages” in songs and in general had a blast in the studio. The creative energy that was there was unbelievable! The students also performed on the recording – they did handclaps, shaker, and background vocals. Three of the girls sang all the background vocal parts and Allen showed everyone how to copy and fly parts around a song. The girls sang great and we put together some great tracks. Lunch was killer too – we had a big spread from Jack’s Bar-B-Q on Trinity Lane. Recording was fun – but the real excitement was the anticipation of getting ready to mix on the next day! Getting their hands on the console was everyone’s favorite part. We ran Flying Faders which remembers all the fader and mute moves. At the end of the session we had a great sounding song! The students asked great questions and it made all of us realize how tuned-in everyone was. We discussed the relationships between all the instruments, the vocals, the effects, etc. and how this balance creates music that we all love. We mixed for three hours and then ate some killer Cajun food from Patrick’s for lunch. After lunch we went to the D room and listened to the three different mixes of the same song. It was very interesting to hear three different takes and how different they were. We then went to the A tracking room for a big Q & A session. Christian Bush of Sugarland came in after and talked to the students about songwriting, getting singles on the radio, and the music business in general. The parents came in at the end of the day and took part in a discussion on the music business and then we had a mixer where everyone got better acquainted. It made me realize that the future of the music business is going to be OK – if this class is any indication of who will be handling things in the future!